NEW CONSTRUCTION TO BE BUILT, GREAT BRIDGE SCHOOLS. CLOSE TO INTERSTATE AND SHOPPING. DOWNSTAIRS MASTER BEDROOM, GAS FIREPLACE, SS APPLIANCES, GRANITE KITCHEN, 30 YEAR ARCH. SHINGLES. NO HOA FEES. O/A. Ready to visit 1249 MADELINE RYAN? Request a free property tour! Send me more information about the listing at 1249 MADELINE RYAN, Chesapeake, VA 23322, MLS# 10139925. This 5 bedroom, 4 bathroom home located at 1249 MADELINE RYAN, Chesapeake, VA 23322 has approximately 2,900 square feet. It is currently listed for $454,000 and has a price per sqft of $15,655. This home is currently Off Market under the MLS#: 10139925. This listing is provided by Wainwright Real Estate. 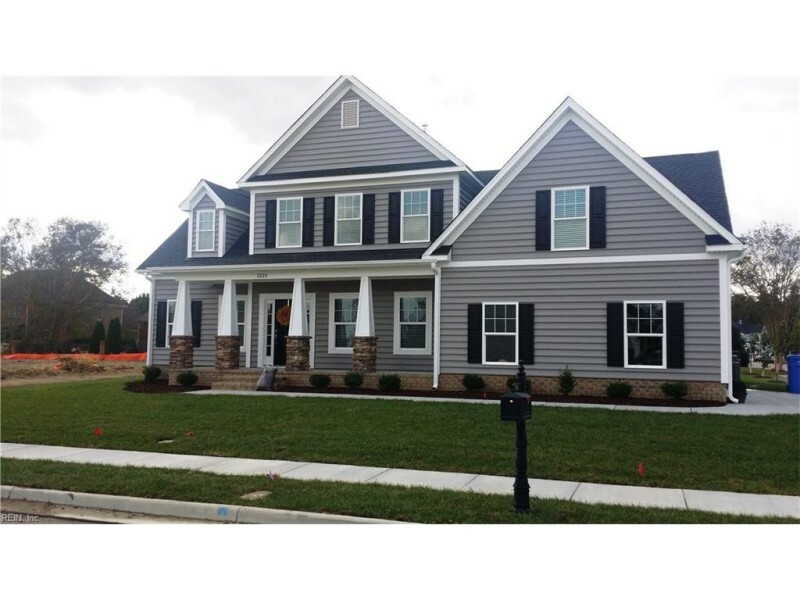 1249 MADELINE RYAN Way, Chesapeake was built in 2017. It has Driveway Spc, Garage Att 2 Car, Street parking.The kitchen includes Dishwasher, Disposal, Dryer Hookup, Microwave, Range, Refrigerator. 1249 MADELINE RYAN is part of the Hanbury Manor neighborhood located in 23322.